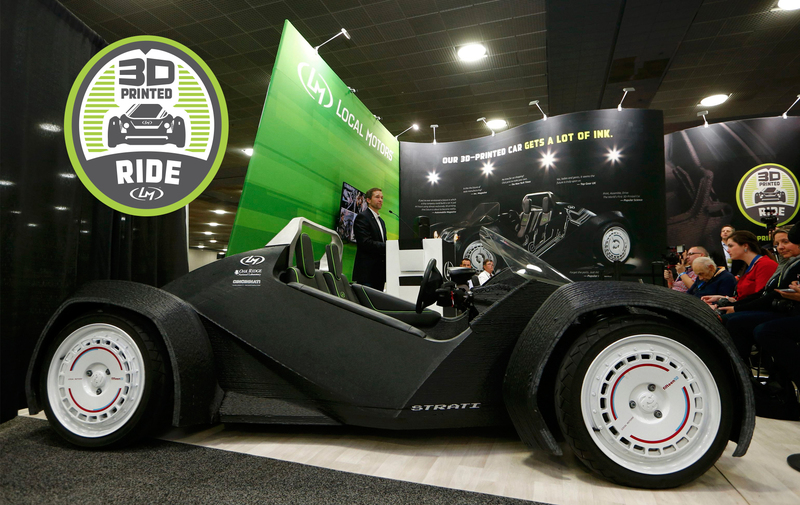 The Launch Of The World’s First 3d-printed Car. 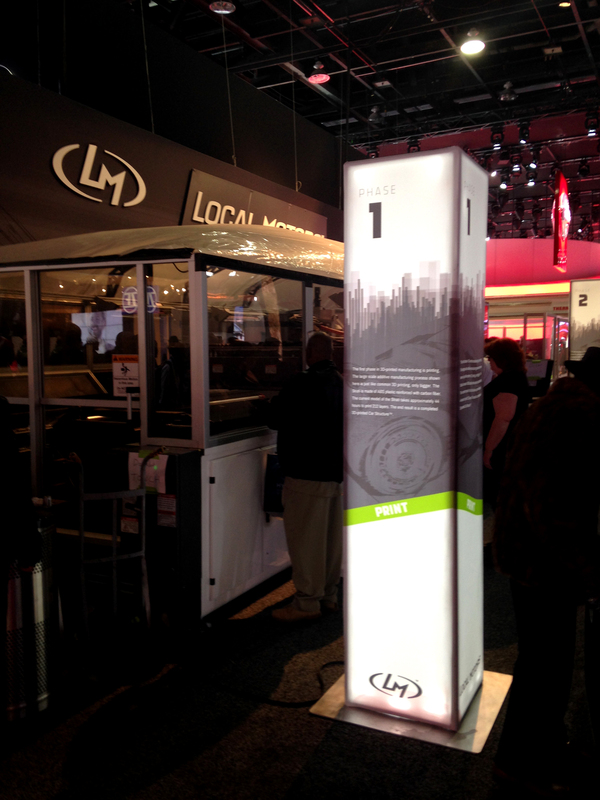 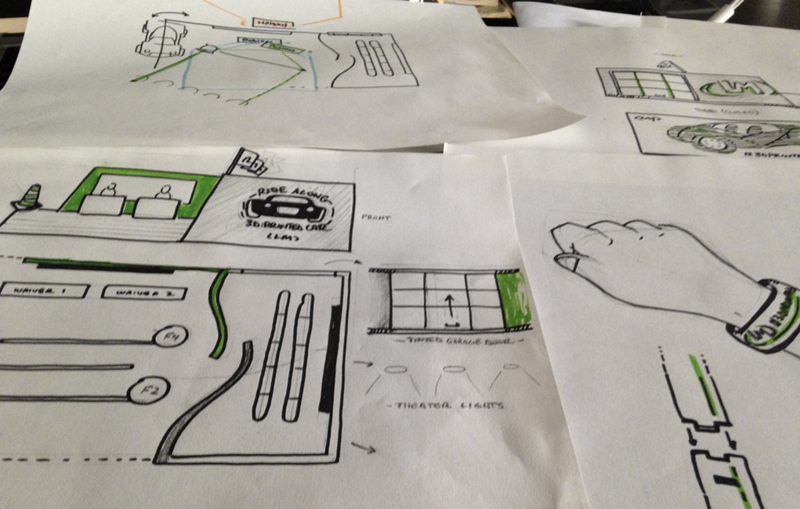 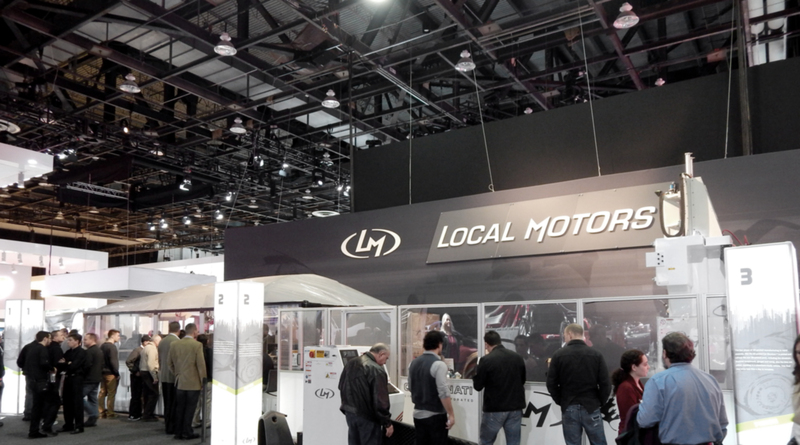 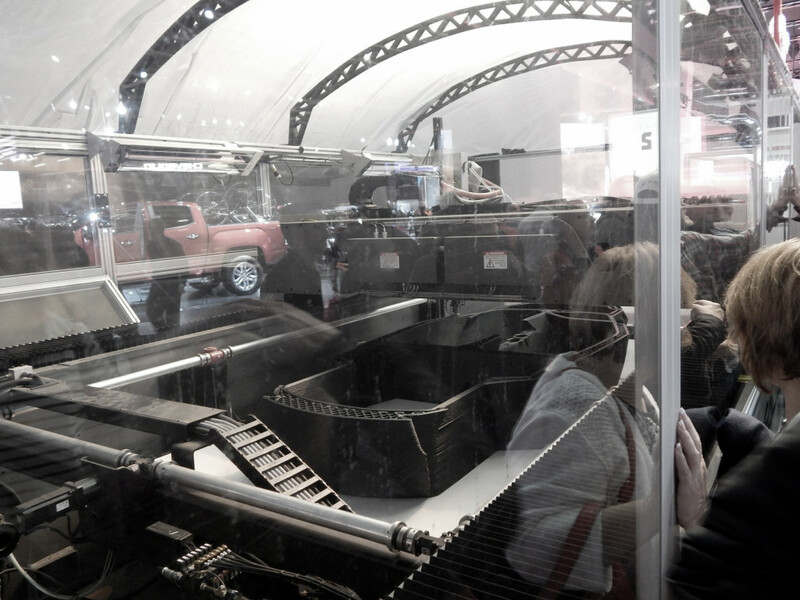 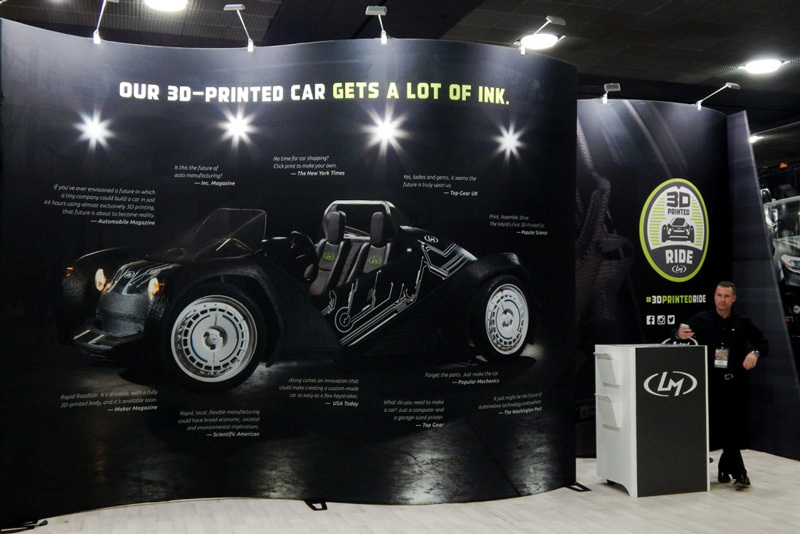 We never expected that when we opened the doors of Magnetry (and those were doors of the imaginary variety at the time) our first project would take us to one of the biggest stages of all: The Detroit International Auto Show. 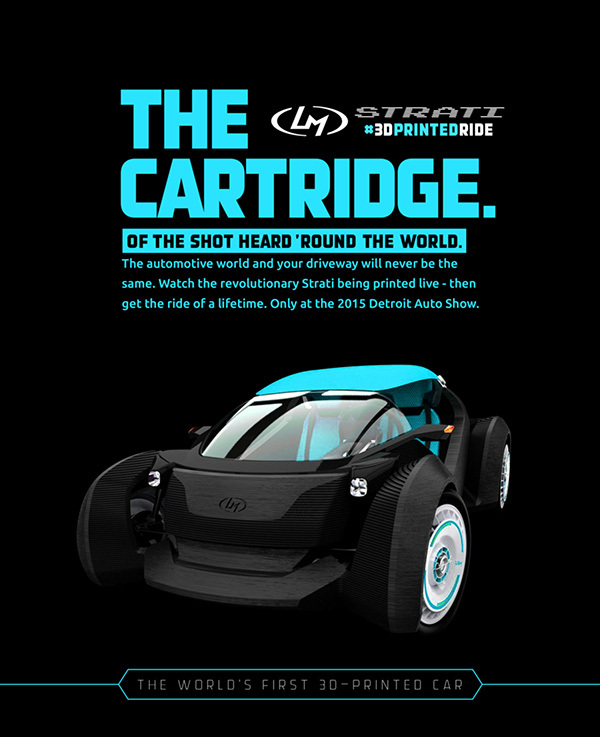 We also couldn’t have predicted that we’d be a part of a product launch that had the potential to disrupt an entire industry. 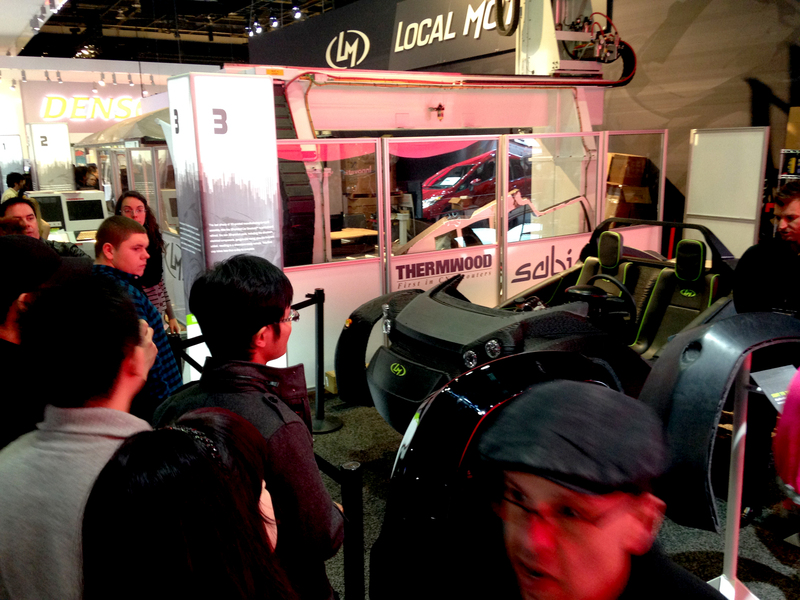 But in order for that to happen, we had to make sure it disrupted the show. 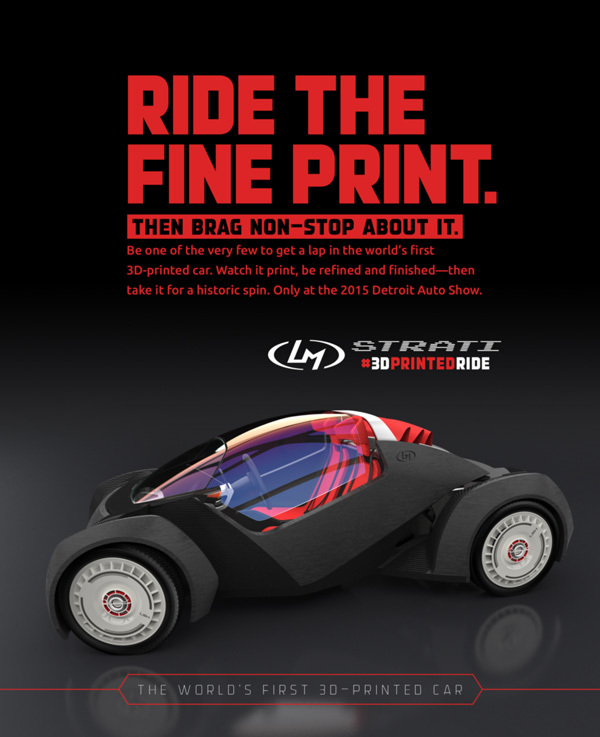 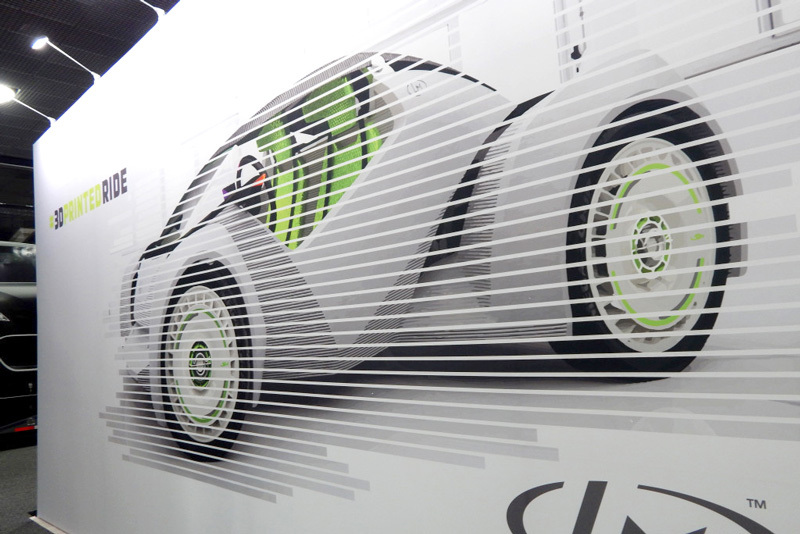 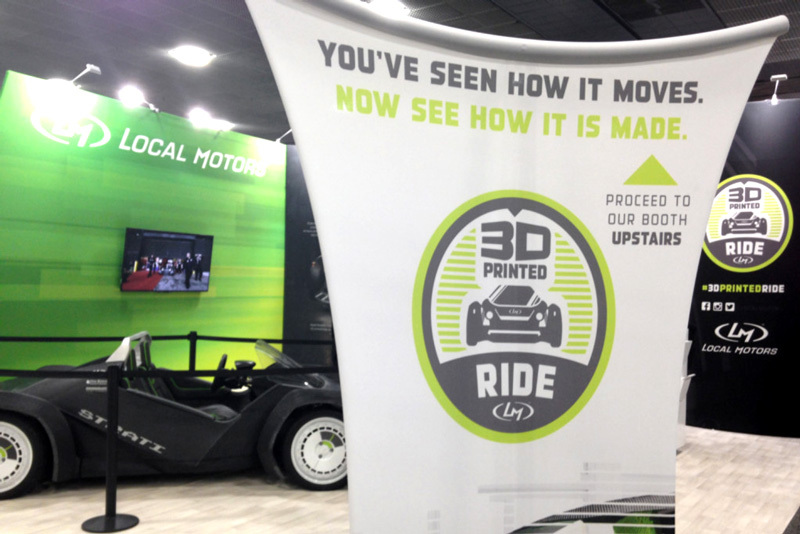 To launch the Strati, the world’s first 3D-printed car, we worked with Local Motors to produce an exhibit that would keep the media and consumers buzzing for the entire two weeks of the show. 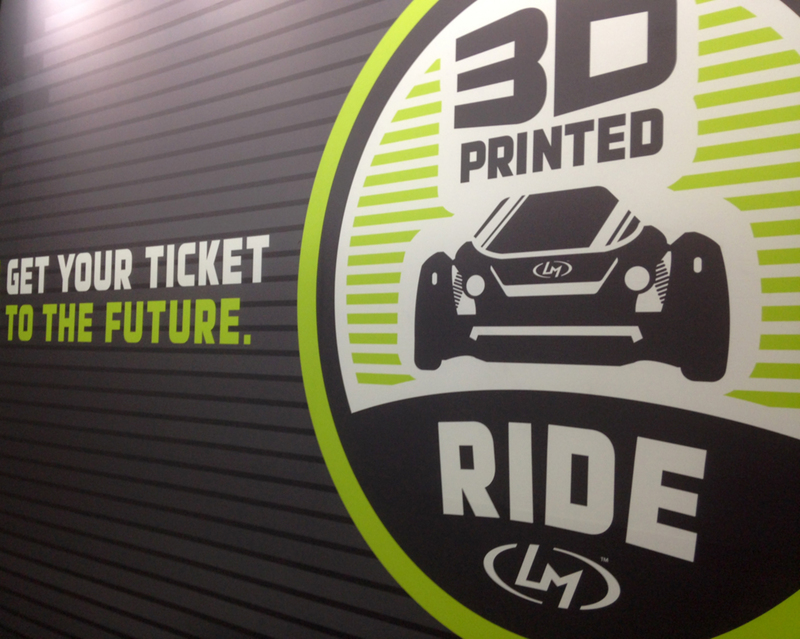 We decided to print one of the cars live on the top floor and give everyone a chance to learn about the three main stages of our production line; printing, refining, and assembling. 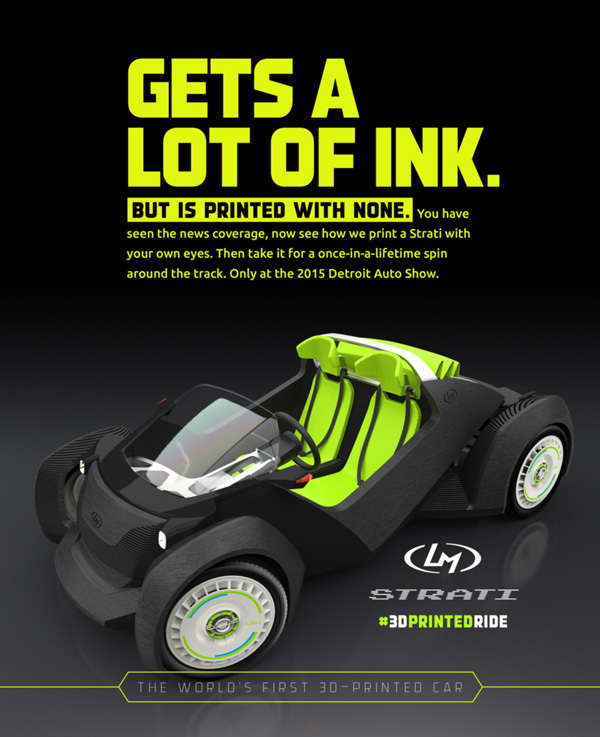 Watch A Car Be Printed. 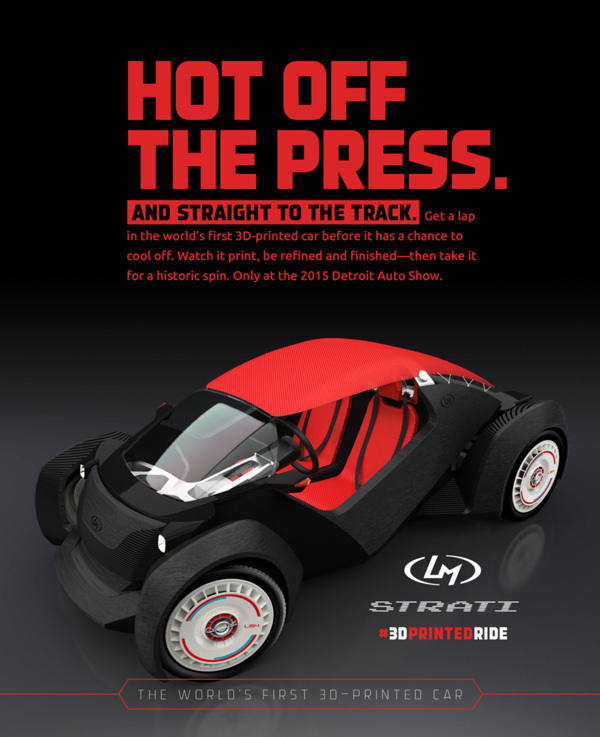 We brought the process of the 3D-Printed car to life, right before the eyes of every spectator that came to the Detroit Auto Show. 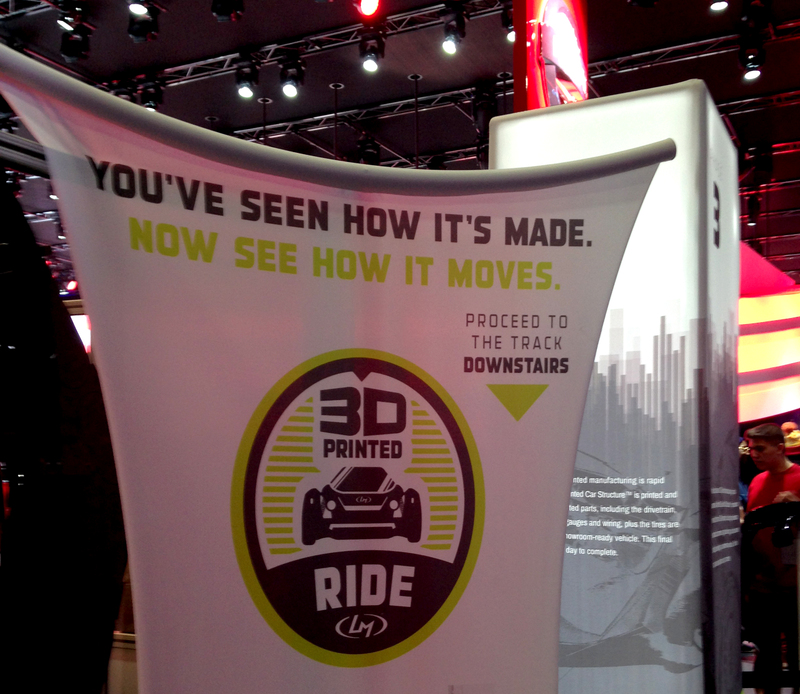 Attendees could stand inches away from each stage as it developed, literally watching our car print off the assembly line. 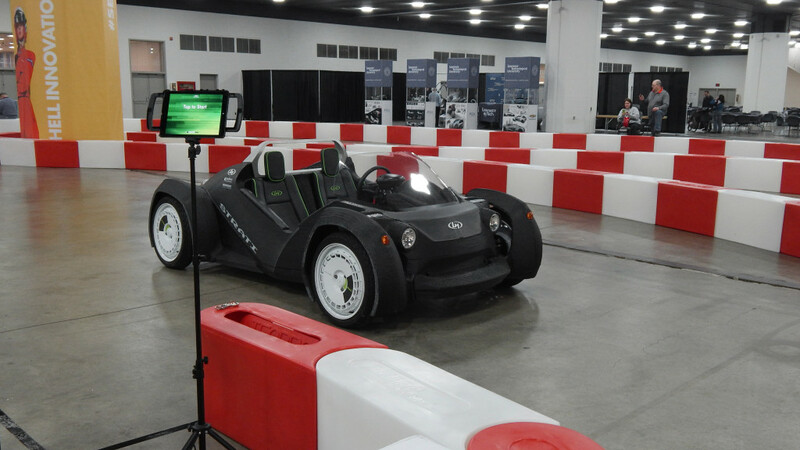 After showing off the process, we then gave people rides in that same freshly-printed car on a track in the lower floor of the Cobo center. 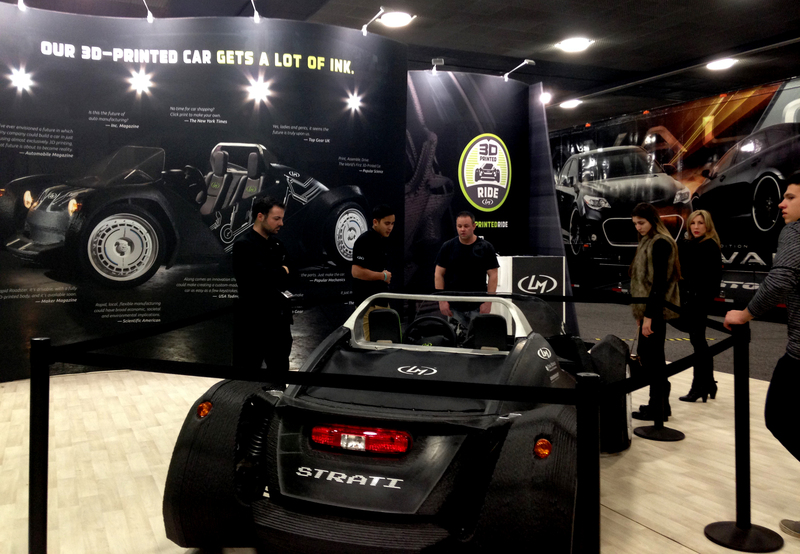 Press were given rides during press week and then wrote countless articles about our small but mighty 3D-printed ride. 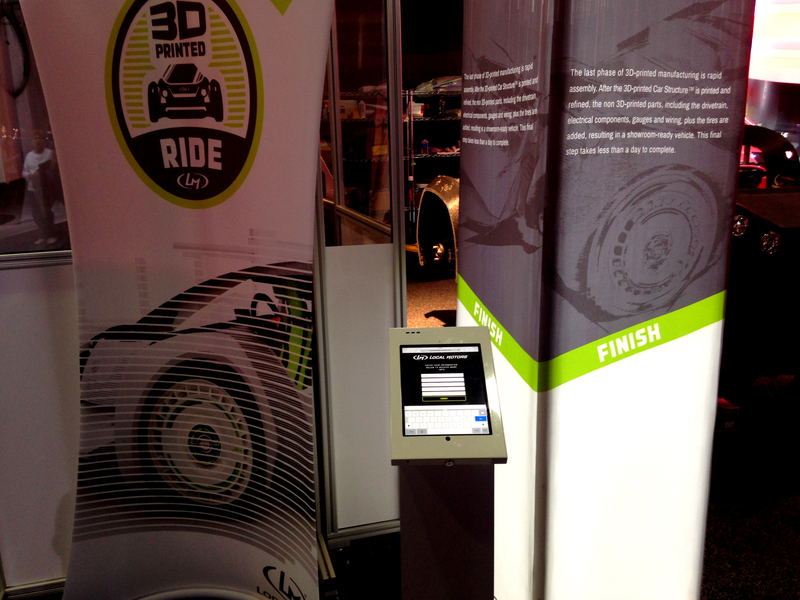 We then set up social sharing kiosks that helped grease the skids even more. 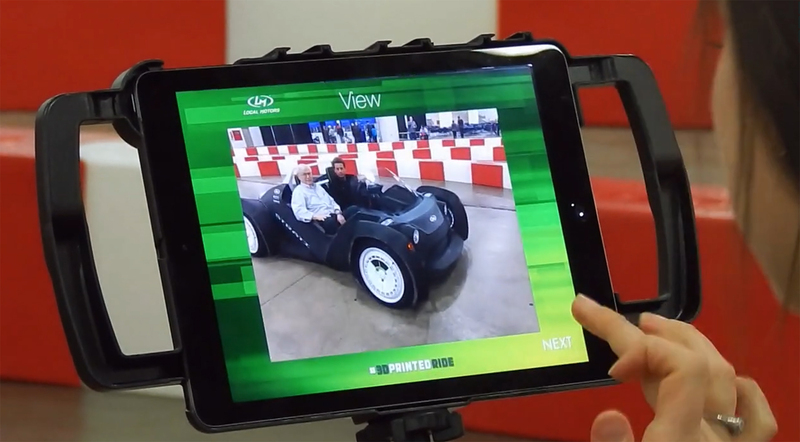 Before each ride, users had their historic photo taken so they could brag about their hot lap in the Strati as soon as it was over.